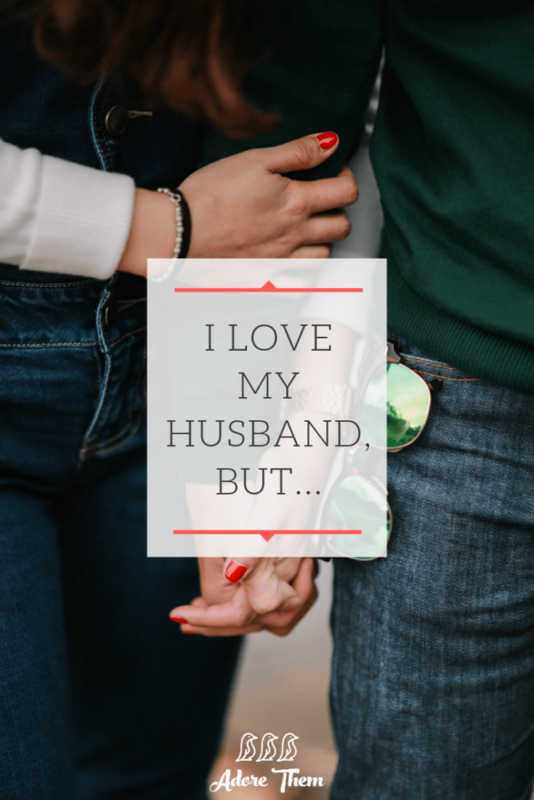 I love my husband; but when we were first married, 21 years old, and broke… things were hard. We were both trying to figure out life after college and working multiple jobs. Life was hard, but what was incredible is that our relationship wasn't hard. There wasn't a question ever a question of whether or not our marriage was the right decision, and that security in our relationship helped us get to a better place in our lives. I love my husband; but when our first baby wouldn't stop crying, and he had to work around the clock to make ends meet… things were hard. Motherhood was not what I expected, and I rarely had a break. My husband was working all the time to support us, and he rarely had a break. Both of us were exhausted and burnt out, but still there wasn't ever a question of whether or not we had made the right decisions. We loved each other, and we loved our new child. Everything else would work out. 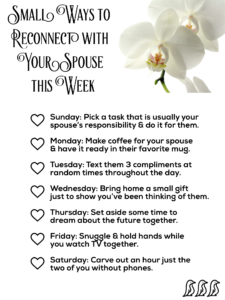 I love my husband; but when I was a stay at home mom to two little boys… things were hard. At least by this point in our relationship, life type things were starting to stabilize. I was involved in fulfilling freelance work, we were in a great home for our small family, and finances were improving. But as any stay at home moms knows, there is something so draining about this phase of life! The reality was that the relationship between my husband and I was simply not the priority at that point in time. But what made all of that okay, is that we were both on the same page. We both had (and continue to have) so much trust in our foundation that if the focus needs to be on the kids for a bit, that's okay! So sure… there have been Valentine's Days without a nice dinner. There have been anniversaries without lavish gifts. There have been birthdays without cake. But that hasn't made our relationship weaker… I still love my husband. He still loves me. And any time we get the chance, we still LOVE spending time together. At the end of day… I love my husband, and that's enough.